An automated patio awning allows you to enjoy the outdoors without the hassle of manually opening your retractable awning, adding that touch of luxury to your home. Add an optional wind sensor to your awning for the peace of mind that your awning is protected if strong winds pick up – your new awning will bring a whole new meaning to outdoor living. Learn why we offer the best awnings! Learn why we offer the best retractable awnings. We are a family-owned business and our goal is to help our customers enjoy their outdoor properties with patio covers in beautiful BC. Mr. Cover All offers premium retractable awnings. 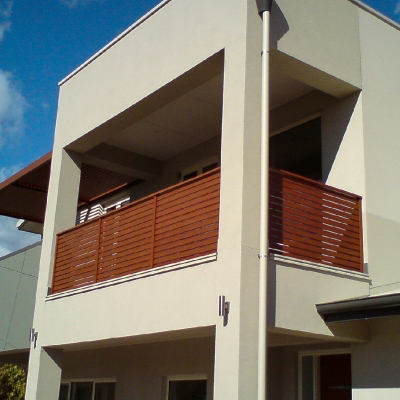 We are highly experienced specialists in awnings and patio covers. When you get Mr. Cover All to set up your outdoor awning, you know that you won’t have to worry about unexpected problems. When closed, our retractable awnings are dirt proof and critter proof. Get the Most Options on Retractable Awnings! With 900+ colors/styles and the choice of custom or in-stock units, you’ll find a beautiful awning that is not only functional, but also suits the look of your home. Want the most high tech awning? We offer optional wind sensors, which auto-retract your awning during heavy winds. Click here for retractable awning fabric options. Everything you want in a retractable awning becomes easier to use, and more enjoyable, with a Somfy motor and electronic control. Somfy Automation gives finger-tip control, for the easiest way to extend or retract the largest, heaviest retractable awnings around, or to control several awnings, even a whole houseful of them, from one simple push-button switch or remote transmitter. Somfy Automation gives peace of mind when away. Somfy sun and wind sensors automatically protect a home from the heat of the sun as well as from the damaging effects of rain, sudden storms, and heavy winds. And because Somfy Automation makes retractable awnings so easy to use, your patio covers will get used more often. Diverse possibilities with patio covers that offer protection from the rain, wind and sun! 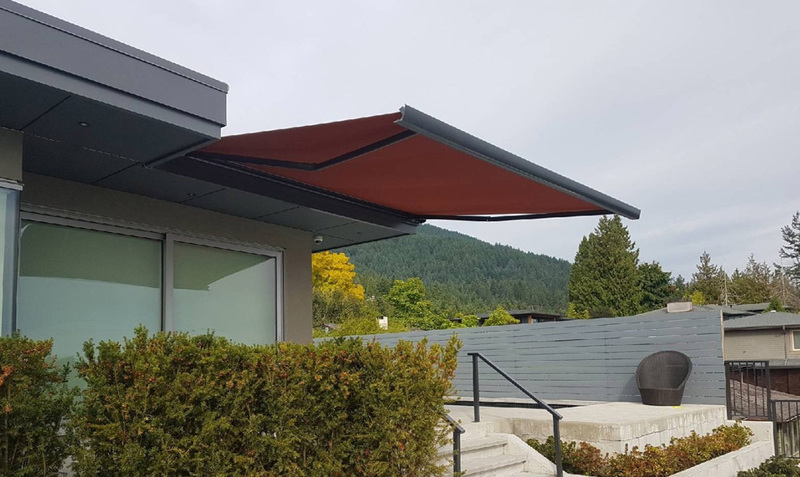 With the ever-changing BC weather, make the most of your garden and enjoy the seasons with an MCA retractable awning, patio cover or shade product. We have a solution to suit your individual needs, whether you want to create more living space, a relaxed outdoor seating area or protection from the elements. Our sun awnings come in a large variety of sizes and styles. With hundreds of colours to choose from for patio covers, you can be sure that our range offers a style, finish and design to suit your individual needs. As we use the highest quality materials, this ensure that all our retractable awnings are extremely weather resistant, robust and versatile. Live outside this summer with an all-weather room by creating a new open space to enjoy in the sunshine and even when it rains. Protect yourself from harmful UV rays with a patio and terrace awning, while our range of side and window awnings allow you to direct sunlight as desired, so you can create the perfect environment and maximise your enjoyment in your garden. If you wish to make the most out of your house and garden, an automated patio cover allows you to sit back and enjoy the outdoor lifestyle without the hassle of opening your retractable awning when required. Full automated operation can be applied to all models, offering ease of use and adding that touch of luxury to your home. Electrically operated awnings can be fitted with optional wind sensors to move the awning retract by itself when a strong wind starts up – your new retractable awning will bring a whole new meaning to life outdoors. **If you would like this option, please note in your message to us. Add beauty and comfort to your home, reduce your energy bills and protect your furnishings against harmful UV rays. It’s all possible with the Australia, our most affordable retractable shade solution. This awning is constructed with a 40x40mm steel square bar and stainless steel chain driven arm. White, ivory and grey powder coated frames are available. The Australia mounts on the wall, ceiling or under the roof with corrosion resistant extruded aluminum hardware. Sit in cool comfort or bask in the sun with this easy-to-use, retractable awning. The unique arm support allows the awning to be easily tilted to any angle, to provide shade control as the sun sets or to disperse light rain. The Sun Pitch is constructed with powder coated steel square bar and stainless steel chain driven arms that resist corrosion. The frame comes in white, ivory, black or grey. Mounts on the wall, ceiling or under the roof. The Verso window awning is our solution for clients looking for a great looking & simple solution to light/heat control. The Verso is a full cassette body so your fabric will stay beautiful for much longer when not in use. This awning not only protects you from the sun and your furnishings from damaging UV exposure, it protects itself. The Palladio 2040 comes with a semi cassette hood that protects and hides the fabric when the awning is retracted. And the patented “Tipping System” allows for complete operation and closure, no matter what angle the awning is set. The frame is available in powder coated black, white or ivory and comes with decorative caps for nuts and bolts. The HZ-T2500 is a custom small/medium size elite level full cassette awning, the ideal awning for clients looking for a product that has clean lines and ease of use. The HZ-T2500 can be adjusted easily and will protect your fabric and moving parts from water and impurities penetration in its fully enclosed cassette body. Custom colors and mounting brackets are available. The HZ-D3400 is our premium totally custom medium/large size elite level full cassette model, ideal for clients looking for a product that has modern lines and ease of use. The HZ-D3400 can be adjusted easily and will protect your fabric and moving parts in its fully enclosed cassette body. Custom colors and mounting brackets are available. Disclaimer: By submitting this form, you’re agreeing to be added to our newsletter. You can unsubscribe from the newsletter at any time.